Peštan company has the honor to present you their PVC profile, which is done by world standards both in terms of quality and in terms of environmental protection (EKOPROFIL). In the realization of this project we approached the world-renowned houses that already developing systems of PVC and materials for their development for the decades. In development process of our System, participated Austrian Greiner as a producer and developer of tools and German Baerlocher as a producer of materials used in making profiles. During construction process we have been guided by the idea that the buyer deserves to offer him a superior profile quality , excellent thermal insulation properties, the most modern environmental characteristics, to be easy for installation and maintenance, all for the price that is appropriate to our conditions. Peštan PVC profile system S- 509 is extruded into rods length 6m except for profile Z and T wings of the front door , which is made in the length of 6,5m. 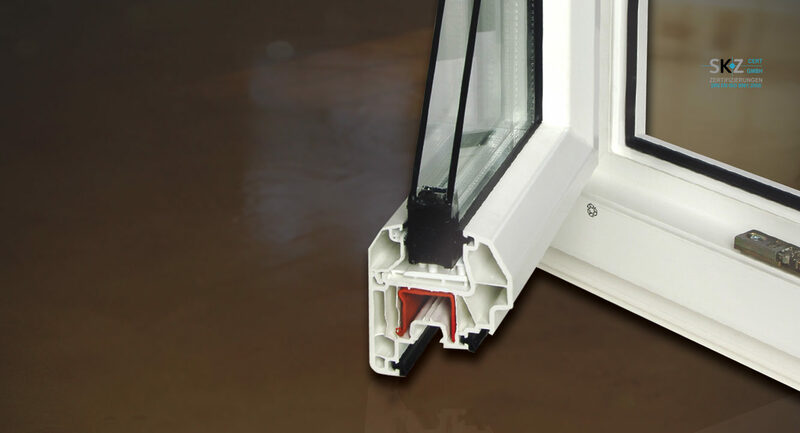 Completeness and quality of Peštan PVC profile system S- 509 , confirms the international recognized certificate of the famous German institute “SKZ”. According to that, PEŠTAN profiles belong to the highest quality class A profiles and fully meet the provisions of the European Norms 12608 and they can be sold in all the markets worldwide. Thanks to that, this profile is already exported to several European Union countries , Africa as well, and in all republics of the former Yugoslavia. During tests Peštan profile on the German “SKZ” Institute has been subjected to a large number of tests in order to detailed examination of its characteristics . The most demanding test that the profile we successfully passed the test artificial aging. During this test profile is alternately exposed to the radiation of special Xenon lamps and then sprayed with water, short time dried and again Lighting with xenon lamps. This test lasts for more than six months in what is simulate natural conditions for a period of 50 years. After the treatment, artificial aging profile is subjected to the test of mechanical properties , and extent of his impact toughness and colour stability . Thanks to environmentalists Calcium – Zinc stabilizer we use, our profile is, after artificial aging process that simulates 50 years age significantly above the levels of required European norms 12608. PVC ( polyvinyl chloride ) is a versatile polymer that can be solid or flexible depending on the mode of processing. Yet its processing requires the use of stabilizers which make It stable at high temperatures and mechanical stress which is exposed in the process extrusion or injection molding . These additives prevent changes in the chemical structure of PVC who would otherwise block any kind of processing . In recent decades leaded stabilizers were used for most products of solid PVC worldwide , except in North America where the dominant stabilizers based on tin . Both systems have a similar relationship price-quality But they are mutually incompatible and can not be recycled together, therefore are used in different markets. Since the leaded stabilizers that are so far been dominant on the European market because of the lead that is toxic if ingested the body declared undesirable on European soil, it must have been found another solution. This solution brought Calcium-Zinc stabilizers. Extruded PVC profiles obtained by fulfilling all these conditions are the product of the excellent physical properties that meet demanding economic and ecological requirements. Therefore, the company Peštan left production and continuing oversight of the recipe to Baerlocher famous German manufacturer that has decades of experience in the production of top quality components for the stabilization of PVC. Today, the trend use stabilizers based on calcium (Ca) and zinc (Zn) as well as some organic components. This program is a significant progress in meeting the new environmental conditions and protection of the environment by the European PVC sector. Stabilizers based on calcium and zinc provide certain manufacturing advantages in compared to lead and tin stabilizers. They combine easy handling with good product features and provide excellent resistance to weather conditions during the external exposure. On the other hand, they are specific and often require special adjustment depending on the individual application. Tool design is also specific and it require special finishing on the location of producers to give maximum quality with the recipe used by the manufacturer. Taking into account all these facts , the company “Peštan” developed system of PVC joinery that fully meets the latest European norms and modern criteria, and offered it to customers, that are at a great PRICE OBTAINED THE RIGHT VALUE AND PRODUCT. In the construction of the settlement Stepa Stepanovic in Belgrade, company OPEK from Loznica has instaled in the following facilities the windows of various sizes produced by Peštan PVC Profile, Building 3A, section No. 1 + 2 + 3 + 4 + 5 building 2D section No.1 and 2E section No. 1 + 2 + 3 + 4. The total value of shipments profiles amounted to 480,000 euros.